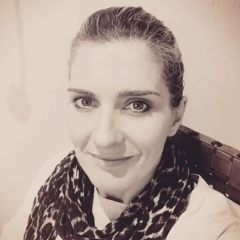 I am a professional, registered, accredited clinical hypnotherapist and psychotherapist who has a wide range of experience working with many different issues. I enjoy helping people to implement change, achieve goals and restore health, happiness, and control to their lives. Call today for free advice on 07915 093588 or send me a message on the Contact Form. I have been in practice for over 10 years, having discovered hypnotherapy 15 years ago when I successfully used it initially to stop smoking and later to overcome other issues and negative thought patterns and behaviours. I can happily say that hypnotherapy has changed my life for the better in so many ways, I realised very quickly through my own experiences just how successful and beneficial it can be for so many problems. I trained at a recognised accredited centre of excellence for hypnotherapy in the UK and have been awarded the Hypnotherapy Practitioners Diploma (HPD) the first nationally accredited hypnotherapy qualification awarded by the NCFE National Awarding Body. I am a member of the National Council for Hypnotherapy (NCH), one of the main professional bodies in the UK, and I have also achieved a new national standard of excellence by being registered with the Complementary & Natural Healthcare Council (CNHC), the UK regulator for complementary healthcare approved by the Professional Standards Authority for Health and Social Care (PSA). Practitioners registered with the CNHC meet national occupational standards and abide by a rigorous code of conduct, performance and ethics. I am also a member of the Association for Solution Focused Hypnotherapists (AfSFH) and served on the executive committee, responsible for membership, from 2011 – 2012. I continue to study and broaden my skills by regularly attending courses and workshops as part of my commitment to continuous professional development and I am currently studying for an advanced hypnotherapy certification. I enjoy helping people to implement change, achieve goals and restore health, happiness, and control to their lives.